What is ACC (adaptive cruise control)? Do I need adaptive cruise control? 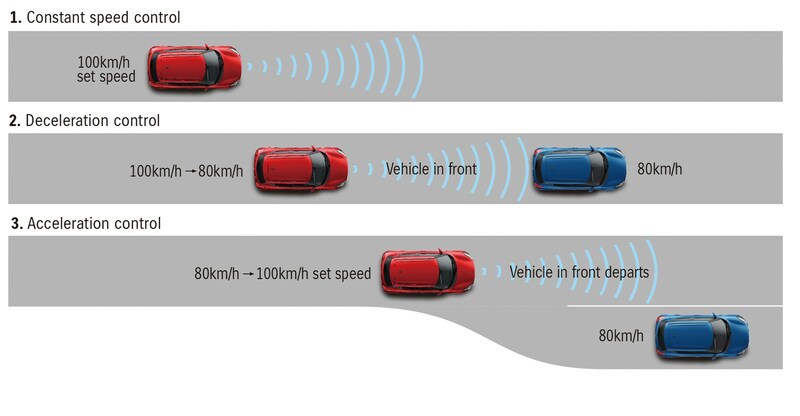 Adaptive cruise control (or radar-guided cruise control) automatically adjusts the speed of your car in order to maintain a safe distance to the vehicle in front. The driver can pre-set their vehicle’s maximum speed and minimum distance to the car in front. How does ACC (adaptive cruise control) work? Radar waves are beamed towards the vehicle in front, calculating the speed the car needs to maintain in order to sustain a predetermined gap. If the car in front brakes, the system will detect this, letting off the throttle and/or applying the brakes of your vehicle. The car will follow the one in front up to a pre-determined speed set by the driver. Typically, it works only at motorway speeds, switching itself off at lower speeds, although newer systems now operate at lower speeds and in traffic jams too. 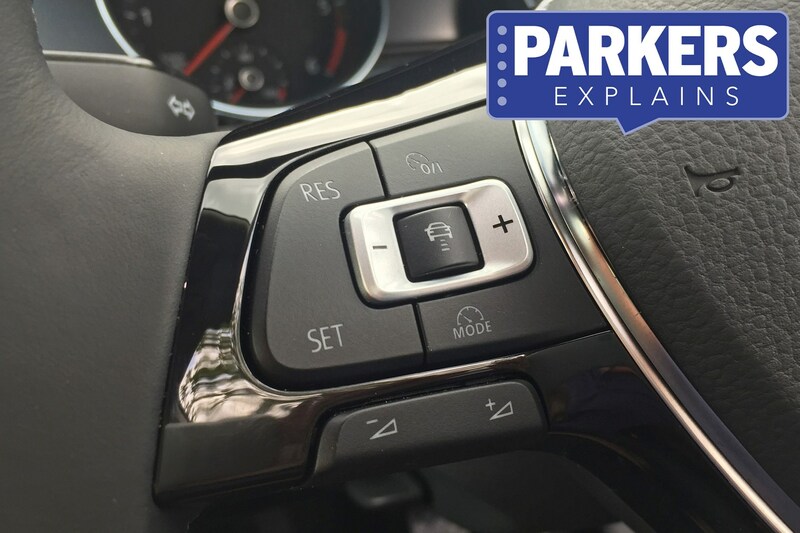 Incredibly useful on motorways, this uprated cruise control system works best with automatic gearboxes. If you can stretch to the additional cost, we'd say it’s a fine option to have on your vehicle. Since its introduction, ACC has been fitted to a wide range of vehicles. Initially the preserve of expensive luxury cars, the system is now available on humble family hatchbacks such as the Ford Focus, Volkswagen Golf and Skoda Octavia. It's one of the building blocks of autonomous self-driving technology, so expect this tech to continue proliferating.